Nicholas Haines is the inventor of the Haines Music Laboratory, the best selling music laboratory in the UK. "I can give you totally impartial advice for your music department. You can join the thousands of music teachers who have used Nicholas Haines since 1980. You can be assured of that personal service for which I am so famous. This course explores many aspects of creative music making. Although composition is an essential element in the Music Syllabus, it can prove to be one of the most difficult to teach. Music technology has advanced tremendously over the last few years with the advent of computers, sequencers, synthesizers and all things MIDI. 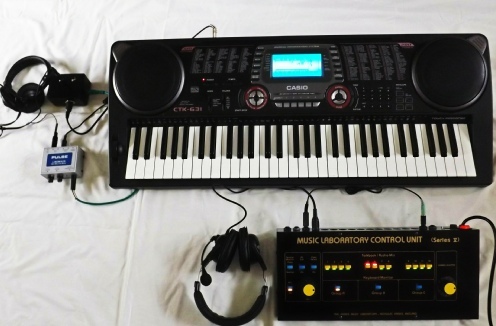 This equipment can help enormously in creating the right conditions for young people to compose their own compositions. This course endeavours to take a selection of the latest Music Technology and utilise it in composition projects within the classroom. 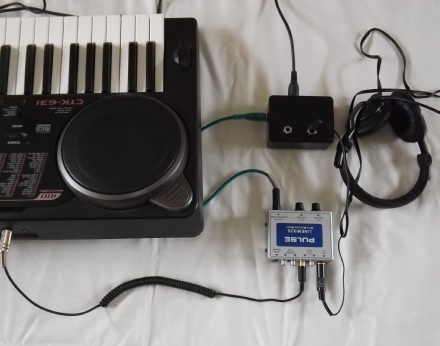 “Without the Keyboard Laboratory it would be extremely difficult to teach efficiently in a room full of keyboards playing out loud. “The Haines Music Laboratory has been a success in our school. It was easy to set up and allows us to listen to students as they are working so that we can provide quick and effective formative assessment feedback .